Waterfall Info: From the top, this is the fifth and final significant waterfall along the section of Tallulah River between Tallulah Falls Lake and Lake Tugalo (aka the Tallulah Gorge). It's a very popular swimming spot. Access Info: This waterfall is along the Gorge Floor Trail. You must have a free Gorge Floor permit to hike this trail. 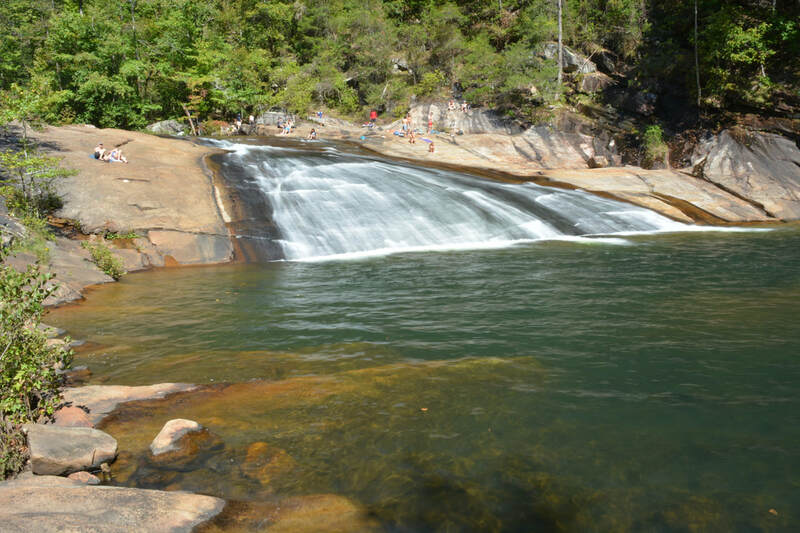 You can also access this falls along the Sliding Rock Trail, but you'll still need to obtain the permit.